The tale is as old as the global market: Imagine the owners of a small e-commerce website selling, let’s say, dog sweaters. They are doing pretty well, especially in Spain, as their Analytics tool (surprisingly) shows them. Because they know that going global is essential for expanding and growing, they want to translate their fancy little e-commerce website to Spanish. But hey, let’s face the reality – They don’t have the budget for a big translation agency. Where can they find a qualified translator specialized in the field of dog fashion, you ask? With the right online tools, it’s really not so difficult – you can visit one of many translator portals and simply go through all the freelancers’ profiles, contacting the ones which seem best suited to the task. Visiting translator forums is a good idea, too! Sounds easy, but which is really the best? We have chosen the Top 5 of them for you. In short, translation buyers like you can use this online platform to post translation jobs or browse a translators’ directory. Because this site is exclusively for translators, rather than a wide range of freelancers, you won’t have to spend so much time scanning various specializations and looking for the ‘right fit’. The mechanism is very simple – post your project and then wait for translators to bid on it. You choose and… bam! You have it covered. Just like with Translator’s Town, Translator’s Base offers an easy way of translation project outsourcing with the bidding system included All tools are free: you can find freelance translators and agencies, post projects, and then get free quotes through their bidding system. You can view and compare bids online, get an instant quote for a document’s translation, and get translation help for free… Did I mention that you can keep track of the translators you have contacted and save translators in your address book? Well, maybe I didn’t, but that’s pretty cool, right? With over 300,000 professional translators and translation companies, this site calls itself the world’s largest community of translators – which we absolutely cannot argue with. They deliver a comprehensive network of essential services and resources in Spanish, German, Italian, Chinese, Arabic, Japanese and numerous other languages. Specialties? There you go: legal, medical, technical and many, many others. Additionally, they have a translation help network called KudoZ, a rate calculator and API. If you are looking for some real diversity and choice, proz.com will be a welcoming place for you. One word: potent! This website, often considered the sister-site of proz.com, is pretty much comparable when it comes to the number of freelance translators and variety of languages and specialties. Many believe that if you’re looking for a rarer language combination like Arabic to Chinese, or someone with a specific sub-field of knowledge, like mechanical engineering, then the site won’t disappoint. It is relatively easy to navigate and the ‘quick look’ feature gives you the opportunity to see all solutions, in spite of the site’s somewhat ‘old-school’ design. What is worth mentioning is that even though this site is meant for professional and registered translators, many amateur translators are also present there looking for work. It’s worth mentioning that we have over 400 verified translators working for us from around the world. We have also decided to move away from the standard bidding system! How does it work then, you ask? Well, ordering a translation is the easiest thing in here! All you really need to do is drag & drop a file into Text United‘s app. It automatically provides you with an estimated time of delivery along with a ballpark quote. For dynamic content, we have prepared connectors such as GitHub & BitBucket Integration along with a fully capable API. 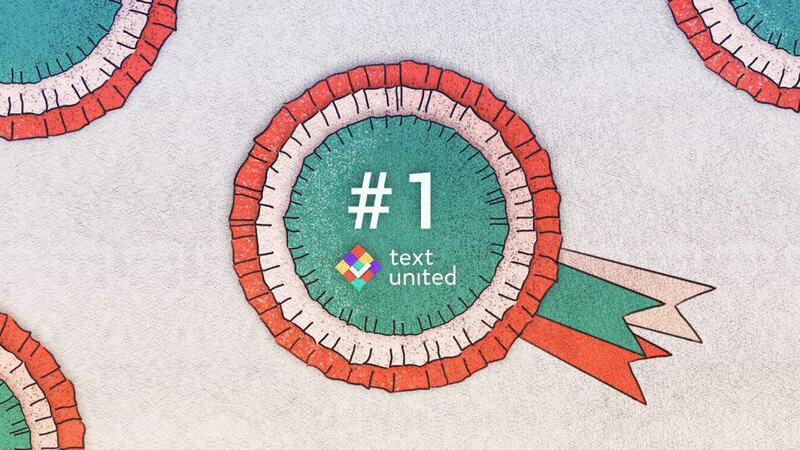 This allows you to connect your digital work environment to Text United and translate anything, on the fly, without ever having to worry about translation project management. Whatever you choose, remember to have fun!